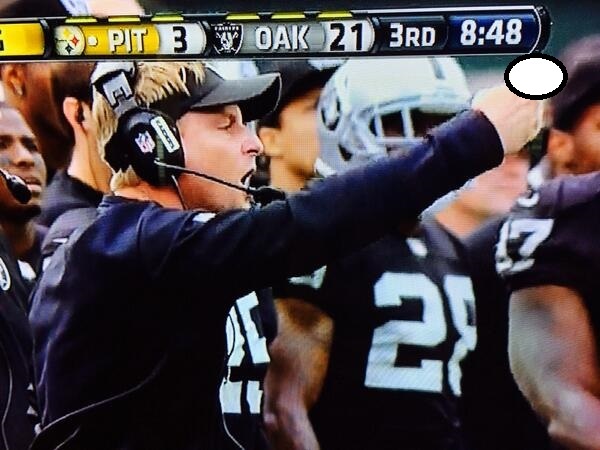 Raiders head coach Dennis Allen gives his thoughts on a call during the Oakland-Pittsburgh game in Oakland. Know your coaches!! 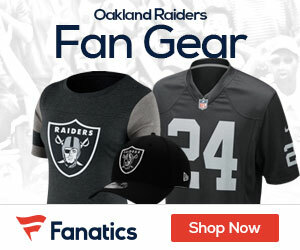 That’s not Dennis Allen…geez! Besides it looks like you’re covering up the index finger. Is this dude flipping a coin ? With the obvious biases the Raiders have seen since Big Ben Davidson rolled Lenny Dawson back in the 60’s, I am surprised the coaches aren’t doing this more often….